○ Metformin + SGLT- 2 inhibitor * SGLT-2i * – dapagliflazocin ,canagliflazocin and empagliflazocin are recommended as options in dual Rx with metformin under certain conditions , as options in triple Rx and in combination with insulin. They can also be used as monotherapy in adults who cannot take or tolerate metformin. Warn about risk of diabetic ketoacidosis in people who take SGLT2-i or shortly after stopping. 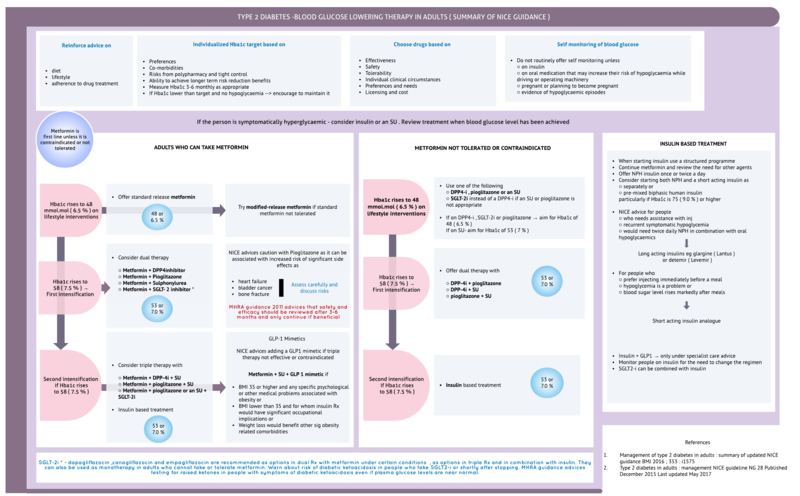 MHRA guidance advices testing for raised ketones in people with symptoms of diabetic ketoacidosis even if plasma glucose levels are near normal.